As per tradition, I like to begin New Year's Day with a trip to the mountain. This year was no exception. 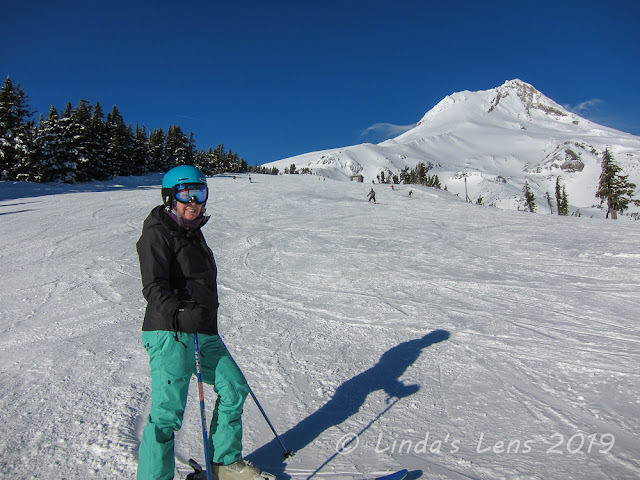 Accompanied by my best ski buddy Kim, we arose early on the first day of 2019 and traveled to Mt Hood for some snowy turns. Clear skies greeted our arrival. 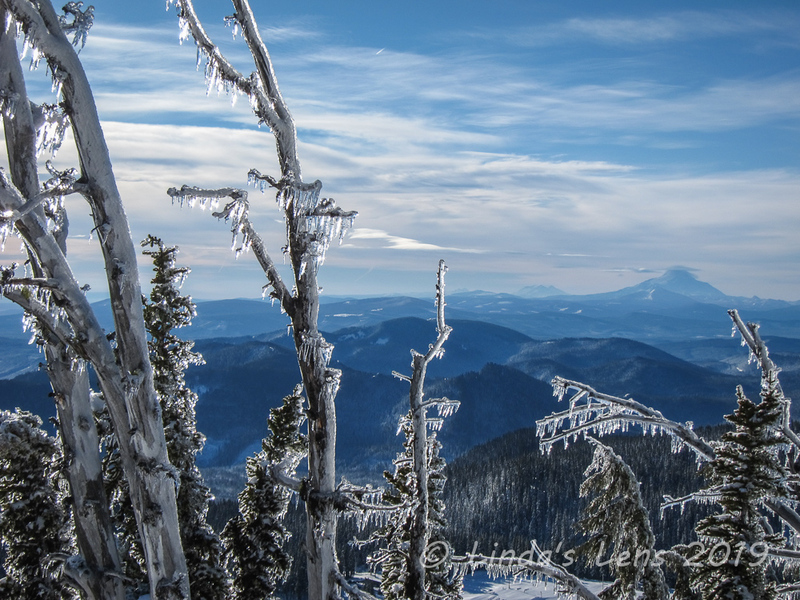 Nearby Mt Jefferson was visible from the slopes, as well as the Three Sisters. Mt Hood had been hit with an ice storm two days prior. Although the slopes had been groomed, evidence of the freezing precip was everywhere. 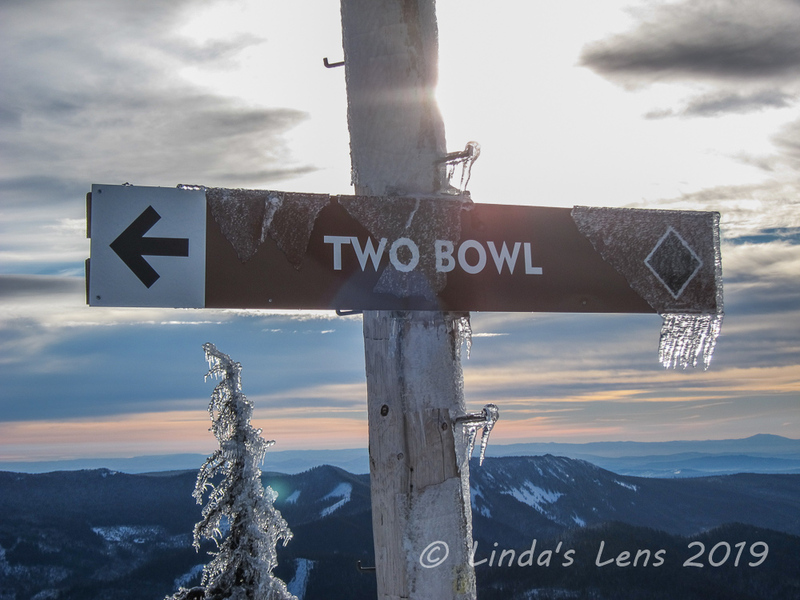 Trailsigns were encased in a glittering shell, icicles dangling off their edges. 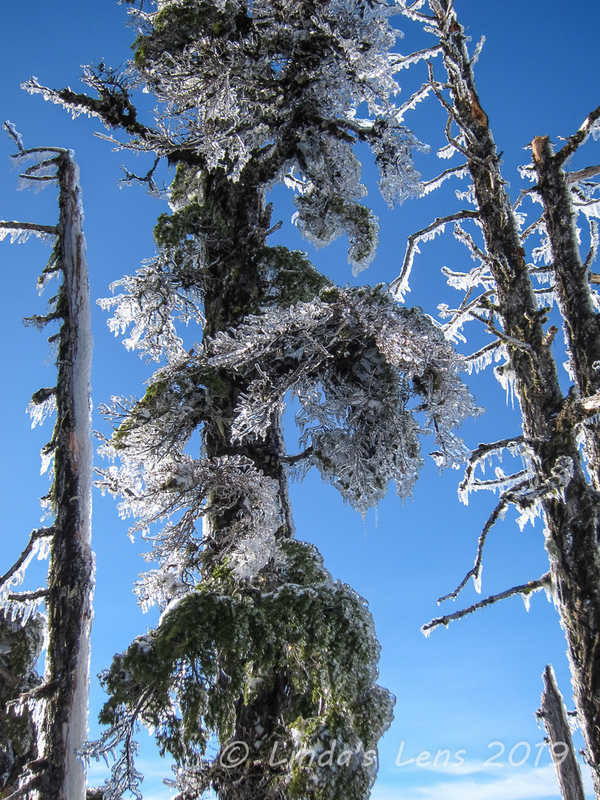 We skied by a huge glade of trees all encrusted in ice. It was so stunning I just had to stop for an extended photo break. It was as if someone had sprayed a firehose on the trees, and they instantly froze. Icicles dangled from high branches. Backlit by the sun, they glittered like diamonds (sorry, my photos just don't capture how breathtaking it really was). I wasn't the only person who'd stopped. 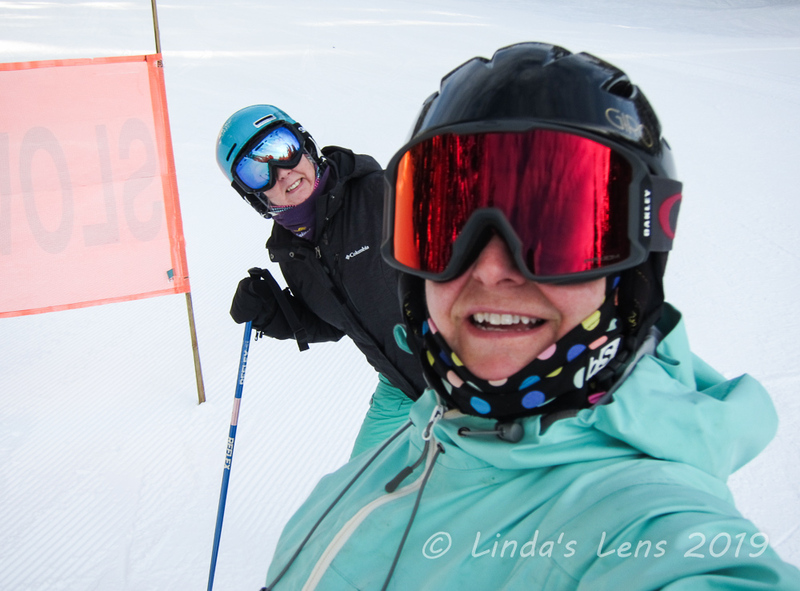 Many other skiers had cell phones out, collecting photos of their own. 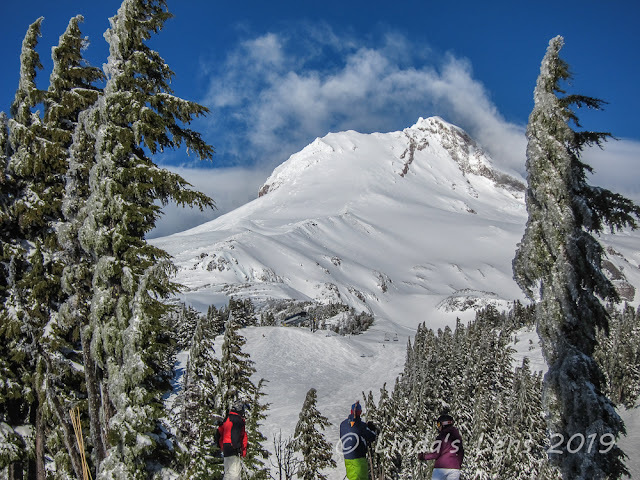 I just love clear, sunny days on the mountain. 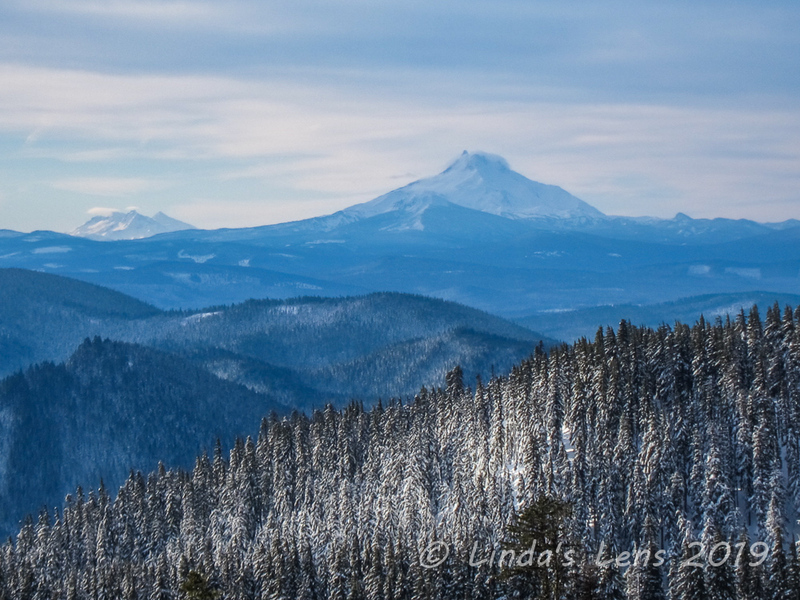 Mt Hood is so beautiful coated in winter white! One lone tree was entirely coated in a thick, icy shell. Huge icicles dangled off its branches. So unusual and lovely! It was a day of great weather, soft snow, many turns, and big smiles. Plus the bonus of seeing Mother Nature's incredible artwork in the form of an ice storm aftermath. Not a bad way to start the new year! ...gorgeous! Snow here on Maui atop Haleakala. 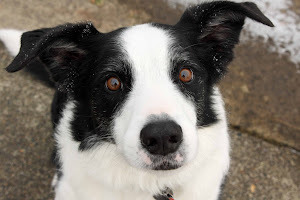 I was wondering how you were liking all the snow! Wonderful photos, the snow scenes make me want to be there! It's very warm here and the snow looks so inviting. Fotografias espectaculares de Inverno, aproveito para desejar uma boa semana. Hello, beautiful captures of Mt Hood and the ice. 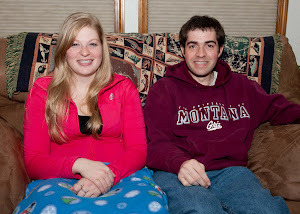 I am glad you had a fun day of skiing. Happy Tuesday, enjoy your day. Have a great week ahead! Gorgeous! Winter is such a visually stunning season. So pretty! What a fun day out and thanks for sharing your artwork of photography! Love the ice sculptures, they always amaze me.One year I got caught in a big one and had to wait two weeks to get my tent loose. The ranger laughed and said only I would have that luck, but didn't charge me. I'd say a perfect way to start the New Year - exhilarating skiing and breath taking nature. 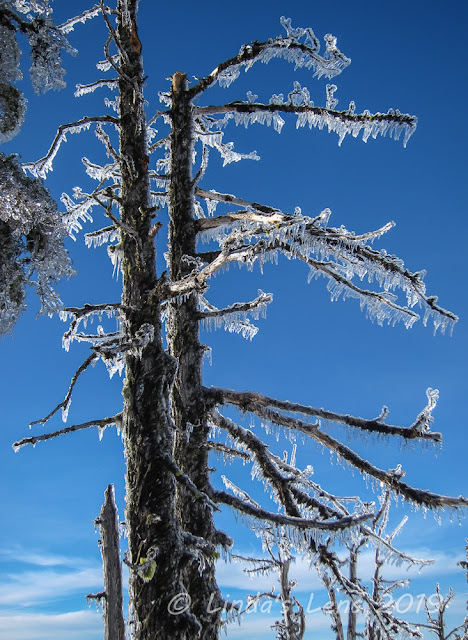 Though ice is not my friend in winter, your photos of the trees make me smile. Glad your turns were on soft snow. 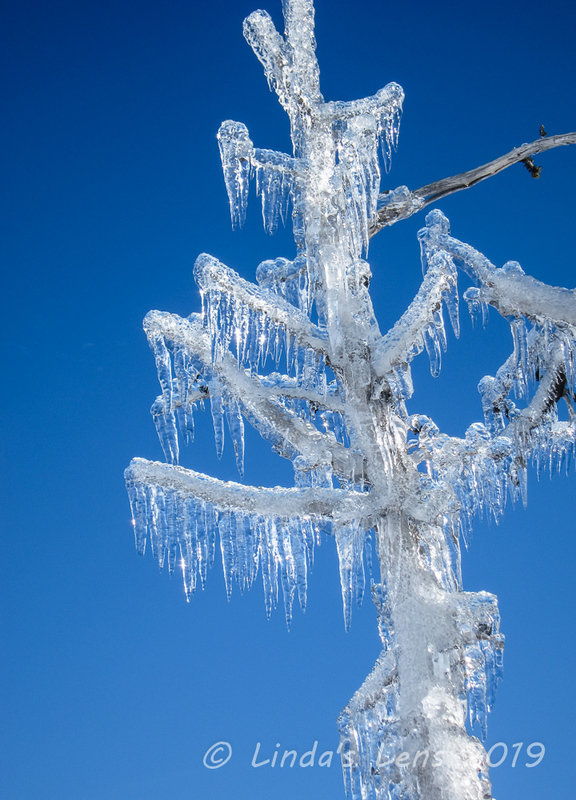 What beautiful ice sculptures made by nature! What a wonderful way to begin the new year. Oh my! The ice is stunning! I saw some on the mountain trees today but from a distance. It was a few degrees warmer in the valley so we just had rain. I've never seen the results of an ice storm so am fascinated by your photos. Hi! 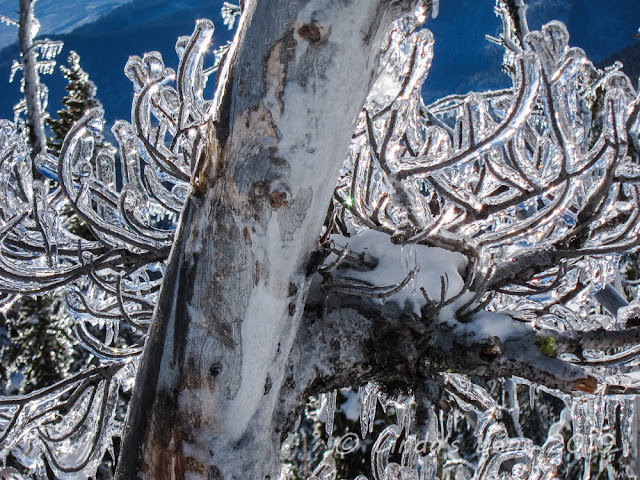 Mt.Hood is always beautiful.Trees coated by ice are very stunning. It's nice your ski season has started. Just when I thought a days skiing under clear skies couldn’t get any better. Those ice features are amazing, great photos. I just love the trees.